After rebounding from the level of 38.2%, Euro started moving downwards again. Right now the market is being corrected, but the price may reach a new minimum again during Wednesday. By the end of the week the pair is expected to reach the target area, which later may become a starting point of a reverse. At the H1 chart we can see that the time zones were corrected. In my opinion, because of a local correction, which is taking place right now, the market will reach the target levels a bit later than I expected. The bears may reach the level of 1.2700 by this Friday. Franc started growing up again, just as I expected, and I’ve moved the stop on my buy order into the black. Currently the price is being corrected, but is expected to start a new ascending movement quite soon. 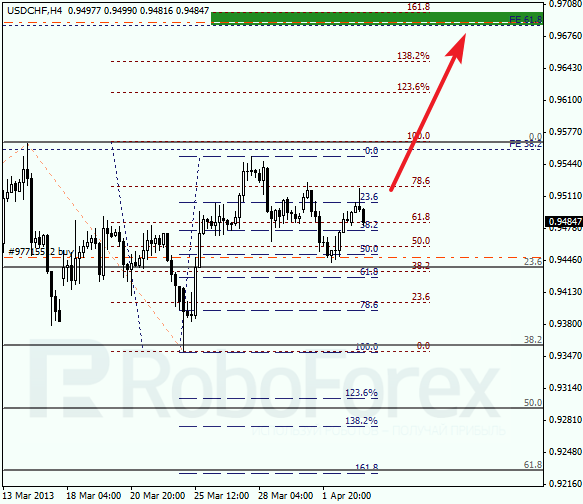 The target area is still between the levels of 61.8% (extension) and 161.8% (correction). 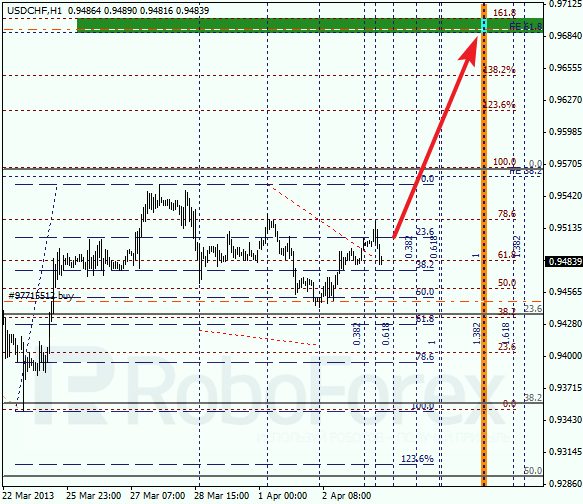 At the H1 chart we can see that the pair reached a new local maximum; the time zones were corrected. Most likely, the pair will reach the target levels by the end of this week. Later this zone may become a starting point of a correction.